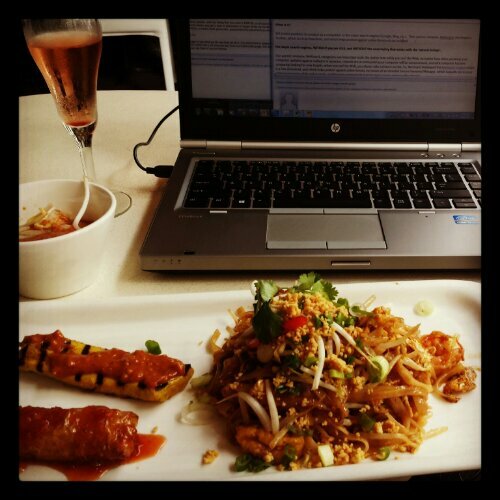 Working Lunch – Jet. Set. Jeanne! Shrimp Pad Thai, Chicken Satay, and Firecracker (deep fried tofu skin stuffed with chicken) $8.95 lunch special at Sticky Rice in New York’s Lower East Side. And a $4.50 pomegranate bellini to top it all off, Mad Men style.